Mary Kay Ash used her training in direct sales to create her own multimillion-dollar cosmetics firm and provide women with the opportunity for advancement. Mary Kay Wagner Ash believed that "a lady never reveals her age," and therefore the exact year of her birth is unknown. It is estimated to be 1916. She was born to Edward and Lula Wagner in Hot Wells, Texas, the youngest of four children. Her mother, who had studied to be a nurse, worked long hours managing a restaurant. When Mary Kay was two or three, her father was ill with tuberculosis (an infection of the lungs). As a result, it was her responsibility to clean, cook, and care for her father while her mother was at work. She excelled in school, but her family could not afford to send her to college. She married at age seventeen and eventually had three children. During a time when few married women with families worked outside the home, Ash became an employee of Stanley Home Products in Houston, Texas. She conducted demonstration "parties" at which she sold company products, mostly to homemakers like herself. Energetic and a quick learner, Ash rose at Stanley to unit manager, a post she held from 1938 to 1952. She also spent a year studying at the University of Houston to follow her dream of becoming a doctor, but she gave it up and returned to sales work. After Ash's marriage ended in 1952, she took a sales job at World Gift Company in Dallas, Texas. She began to develop her theory of marketing and sales, which included offering sales incentives (something that spurs someone to action) to the customer as well as the sales force. Ash was intelligent and hardworking, but, unlike men, women were given hardly any opportunities for advancement at the time. Tired of being passed over for promotions in favor of the men she had trained, she quit. She planned to write a book about her experiences in the work force. Kay." Ash was determined to offer career opportunities in her company to any woman who had the energy and creativity required to sell Mary Kay cosmetics. Before long she had a force of female sales representatives who were eager to prove themselves. Ash's second husband had died in 1963, a month before her company was established. Her oldest son helped guide her through the start-up phase of her company. Three years later she married Melville J. Ash, who worked in the wholesale gift business. Believing it was important to reward hard workers, Ash gave away vacations, jewelry, and pink Cadillacs to her top performers. (By 1994 she had given away seven thousand cars valued at $100 million.) With goals such as these to shoot for, her salespeople made the company a huge success. Within two years sales neared $1 million. The company's growth continued, and new products were added. Every year since 1992 Mary Kay Cosmetics made Fortune magazine's list of five hundred largest companies. In addition the company was listed in a book entitled The 100 Best Companies to Work for in America. It now employs over 475 thousand people in over twenty-five countries. Ash published her life story, Mary Kay, in 1981. It sold over a million copies, and she went on to write Mary Kay on People Management (1984) and Mary Kay—You Can Have It All (1995). In 1987 Ash became chairman emeritus of her company (meaning that she would hold the title of chairman even in her retirement). She helped raise money for cancer research after her third husband died of the disease. In 1993 she was honored with the dedication of the Mary Kay Ash Center for Cancer Immunotherapy Research at St. Paul Medical Center in Dallas. In 1996 the Mary Kay Ash Charitable Foundation was started to research cancers that mainly affect women. Mary Kay Ash's health declined after she suffered a stroke in 1996. She died at her Dallas home on November 22, 2001. She was a tough businessperson with a thorough knowledge of marketing and sales. Through her belief in women's abilities and her willingness to give them a chance, she made the dream of a successful career a reality for hundreds of thousands of women worldwide. Ash, Mary Kay. Mary Kay: You Can Have It All. Rocklin, CA: Prima, 1995. Stefoff, Rebecca. 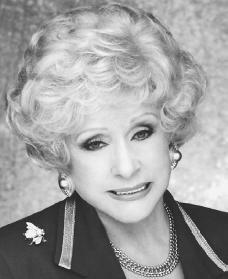 Mary Kay Ash: Mary Kay, a Beautiful Business. Ada, OK: Garrett Educational Corp., 1992. Wow, what a wonderful leader and feminist icon! I love her products and her contributions to cancer research. There's definitely a place in Heaven for this remarkable woman. So glad I joined up! She is the most amazing women I have ever heard of!!! She is so talented!!! She is amazing!!! She gives women the courage to go out as they are. WOW!!! this woman is so creative I haven't seen anyone as amazing as she is. from what ive seen on this website she is a hard working lady but i have to say her skin cream is AWSOME!!! under me and havent got my starter kit yet.I thank my friend and director. Thanks so much. She's such a great woman! I'm doing a research paper on her and she is deffiently the woman to do it on! I've learned so much from her agree with everything she did! Warm greetings in precious name of our Lord Jesus Christ Who, is coming very soon! As you understand, everything starts from visions and dreams. Visions and dreams are the mother of faith, when I look back at my eight year ministry experience, God first put visions and dreams into my heart then those visions and dreams developed faith in my soul. Through that faith, God accomplished great ministries. I have received visions and dream from the Holy Spirit to reach selective Muslim areas, to plant 12 churches within five years, by sending 24 inland missionaries. Currently I will prepare the ground by searching partners in this church planting Visions and dreams to fulfill the great commission of Jesus Christ. Even you can donate car for ministries. We have planned to train inland missionaries, and will send 24 Muslim background missionaries and building training center. I am also in need of your financial support. The cost for our church planting goal is $78,200 per year. If God leads you to be part of the church planting ministry in this way make your check to the Risen Power Baptist church of Ethiopia and mail it in the enclosed self- addressed stamp envelope. Thank you for your time and consideration. It would be great to have you partner with me in working towards the completion of the great commission.